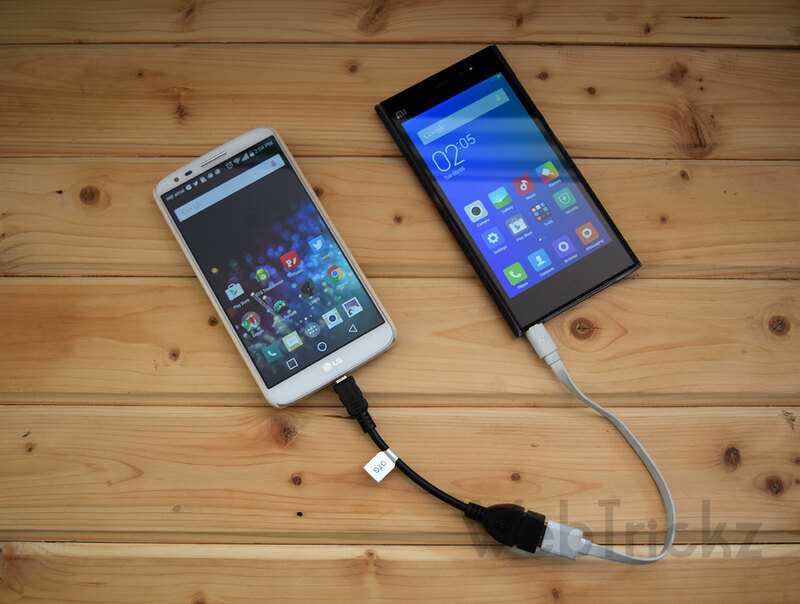 Want to charge a phone using another phone’s battery or use your Android phone/ tablet to charge other devices? Well, that’s possible and is way easier than you would expect. One can charge phones and portable devices via USB using an Android phone that supports USB OTG (On-The-Go) functionality. There is an interesting yet easy trick to do so, using which one can charge and power up a phone, bluetooth speaker and other similar devices that supports USB charging. This might make no sense but can come really useful in emergency situations where you’re deprived of a powerbank or wall socket and badly need to keep your smartphone running. Without further ado, let’s go through the simple DIY trick! What’s required – A phone with OTG support (one with higher battery capacity is preferred), OTG cable, and micro-USB cable. 1. Make sure the charge-from device has OTG support. 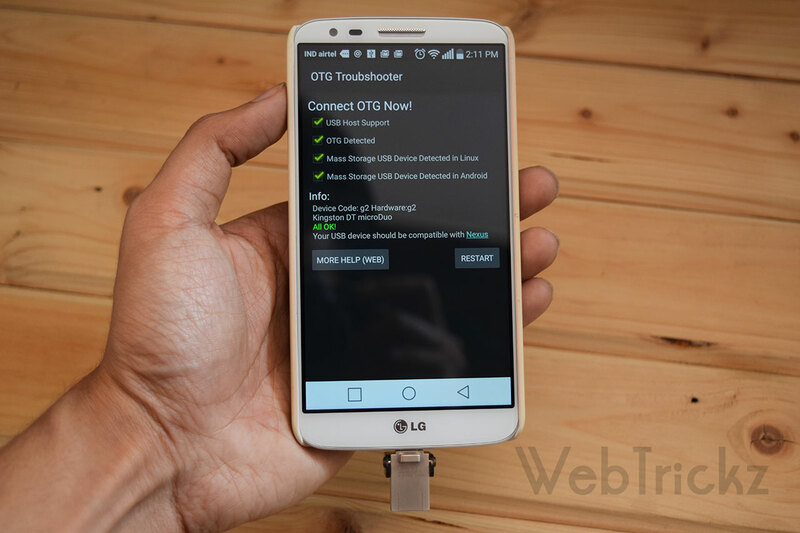 You can install ‘OTG Troubleshooter‘ app to check that (App might give false results at times). 2. 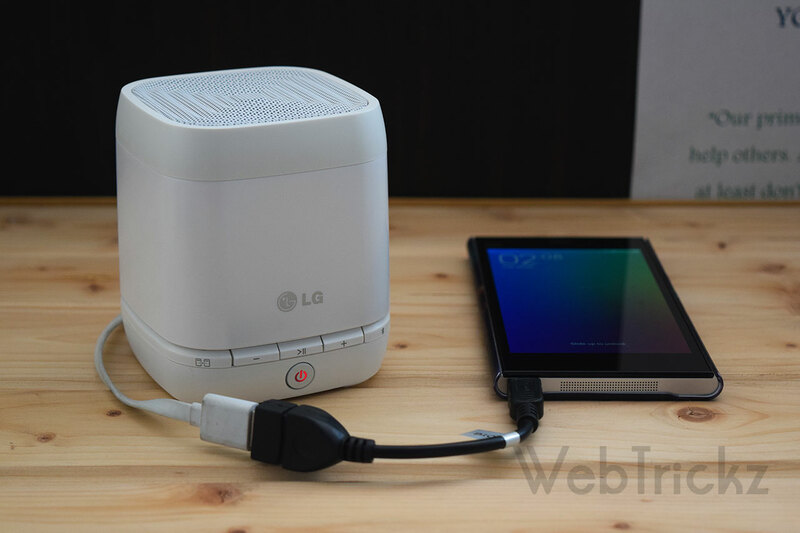 Connect the USB OTG host cable to the charge-from device (one you want to use to charge the other device). That’s it! The charging will instantly begin on the charge-to device. The only downside here is that the charging will be very slow (5% in 15 mins in our test between LG G2 and Mi 3) but that’s obvious as a USB OTG port can’t certainly provide as much current as a USB port from desktop or wall charger. Also, don’t expect the same % of power to be supplied as some charge is lost while charging. It’s suggested not to use the devices while charging as that effects the charging time. wow! dude it\’s awesome tricks, tomorrow I will try this tricks hope I will done this task successfully. mobile with higher voltage battery will charge lower voltage battery. This trick is very benificial for my all friends and me !! Thanks..
How about simply having cable with \”micro-usb\” at both ends? Should that work? It\’s cool that you can do this, but do you think it\’s harmful to your phone\’s battery?